Jurgen Klopp felt a newfound maturity in his Liverpool side helped the Premier League leaders return to winning ways at Brighton and Hove Albion. Chris Hughton's impeccably well-drilled side remained on level terms at the break, with Liverpool looking to bounce back from their loss to title rivals Manchester City last week and subsequent FA Cup reverse at Wolves. Mohamed Salah provided the crucial contribution in a 1-0 victory by winning and converting a 50th-minute penalty to re-establish a seven-point lead at the summit for the Reds, with Tottenham and City in action over the coming days. "It was very hard earned and that's how it is. A massive, massive game," Klopp said. "Everyone knows how difficult it is to go to Brighton. "You have to be creative against a really good organised side with the counter-attack threat in your mind – plus the long balls that are always 50 per cent situations. "It was a really mature performance from my side. This season that is a new skill and we have to keep that. "The second half was much better. We learned from the first half. So I like the performance. "It's not an opera of football but it’s still a really nice song." 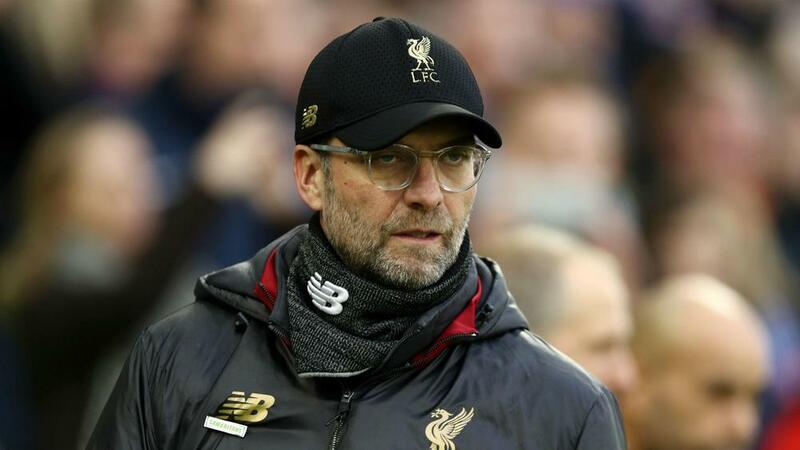 Klopp insisted that Liverpool's newly bolstered lead at the top of the table meant little as City and Tottenham prepare for respective matches against Wolves and Manchester United. "It means nothing. We take all the points we can. We have 57 now – that's the situation and that's cool," he added. "We all know the difference will be tomorrow and on Monday night. We can only win our games." Pascal Gross brought down Salah for the decisive spot kick but then came closest to finding a Brighton equaliser and their manager Chris Hughton felt his team were worthy of a share of the spoils. "We restricted them to minimal chances," he said. "Pascal Gross' chance is probably as good as any of theirs. "On the balance of play I thought we deserved to get something from it. "They've got lots of moments of real quality because of the players they've got and you have to match that. For the majority of the game we were able to do that. "You can't restrict them to no chances because they have such quality. In the latter stages of the game we went for it and showed a real intent to get back on level terms." Hughton added: "Sometimes you feel some of the decisions don't go your way and I felt today was one of those days. No malice towards the referee but I thought it favoured Liverpool today."